Finkelstein, Maxwell W.. "Kootenay National Park". The Canadian Encyclopedia, 25 January 2018, Historica Canada. 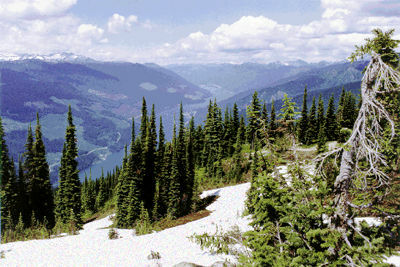 https://www.thecanadianencyclopedia.ca/en/article/kootenay-national-park. Accessed 25 April 2019. Kootenay National Park (established 1920, 1406.4 km2) is located on the west slope of the Continental Divide. The park, stretching north and south for 104 km, is bounded on the east by Banff and Mount Assiniboine Provincial Park on the north by Yoho National Park. Kootenay National Park. Hot springs occur when groundwater is heated at depth (courtesy Environment Canada). 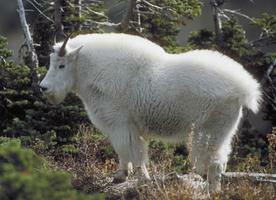 The mountain goat is not a true goat but belongs to a tribe ancestral to sheep (Corel Professional Photos). 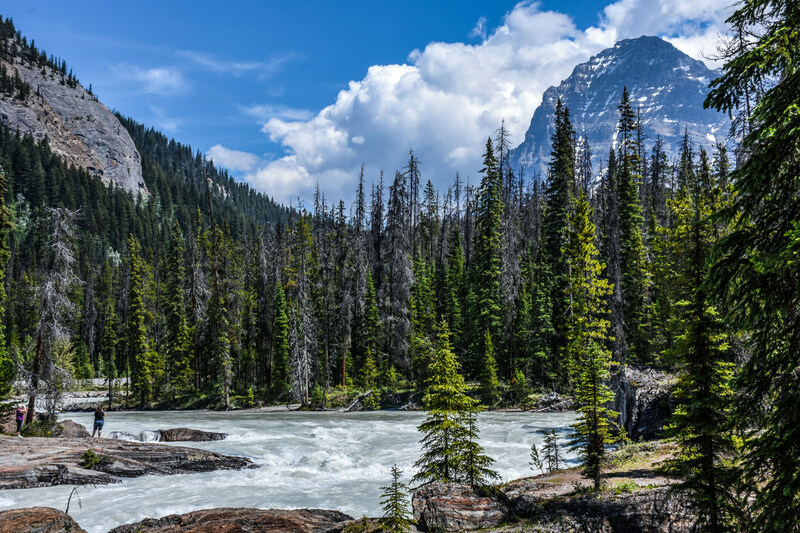 The contiguous block of Kootenay, Yoho, Jasper and Banff, augmented by several provincial parks and wilderness areas on its periphery, is among the largest protected areas in the world, and the largest in the Rocky Mountains. 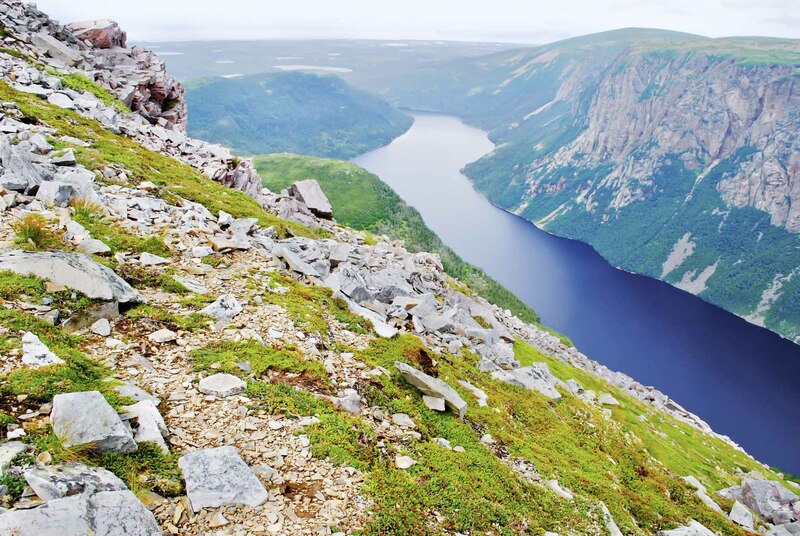 The national and provincial parks form the Canadian Rocky Mountain Parks World Heritage Site. Vegetation is spectacularly varied, from cactus to wet-belt western red cedar and from alpine tundra to forests of Douglas fir. Large mammals found in the park include mountain goat, bighorn sheep, elk, mule deer, black bear and grizzly, as well as numerous smaller mammals and over 190 species of birds. The Kootenay have lived in this area for over 10 000 years. David Thompson, who was exploring a route to the Pacific, was the first European to travel through the area. Although he did not actually pass through what is now the park, he wintered at Kootenai House close by. James Sinclair is recorded as the first European in Kootenay (1841). Today the Kootenay Parkway passes through the park and provides dramatic views of snow-capped peaks and narrow canyons. 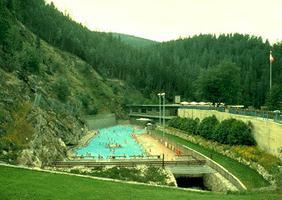 The park offers year-round camping and swimming at the hot springs, as well as outdoor recreational facilities.